Another Monday, another weekend gone. Was yours a good one? Mine was fantastic, quite honestly. 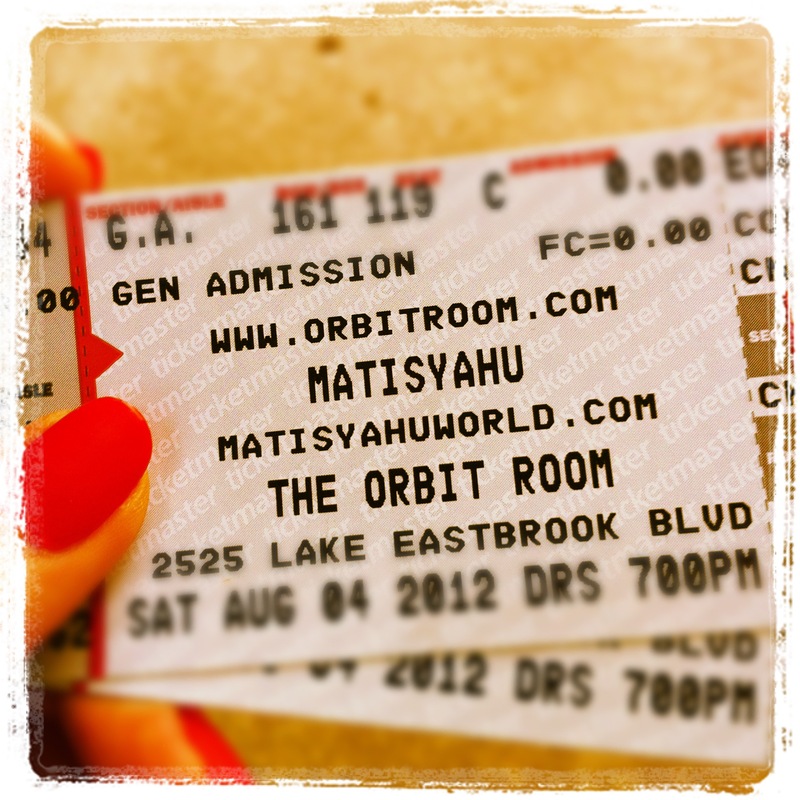 Among some much needed rest and relaxation, FH and I were very lucky to see Matisyahu in concert here in Grand Rapids. And it was truly phenomenal on so many levels. Politics, religion, and drama aside, Matisyahu is still the fantastic musician we’ve come to love, and seeing him in concert was such a great experience. Already being devoted fans, FH and I enjoyed the energy from a live experience, a top-notch production experience, and a great crowd, especially being in a smaller, more intimate venue. Now, I am generally terrible in front of large crowds. Unless I know everyone, or am reading from a script, I cannot do it – I get clammy and shy, and my voice shrivels up like a plant exposed to too much sun and not enough water. If we’re in a small group, I feel just fine; even a medium-sized group, I’m comfortable. But once there’s more than 20 people or so, my body kicks into introvert mode, and it’s the sidelines for me. The same, however, cannot be said for Matisyahu, who seems to be filled with energy the more people were around him, yelling, screaming, and singing along. He just seemed to eat it up, and it was great to watch him loosen up as the night went on. He ended the show as I thought he would, with his hopeful, peaceful single “One Day.” What I didn’t think would happen, though, was for him to enthusiastically reach into the crowd and start pulling people up on stage. And they pulled people up on stage. And more and more until the stage was filled with happy, smiling people, singing for peace, kindness, and an end to war. No one was caring about your faith, your facial hair, or your head covering (or lack thereof). I know I have the ability to draw inspiration from anything, sometimes annoyingly so (anyone remember how I was inspired by a spilled smoothie? Yeah, I know. ), but I don’t know how anyone watching this unfold couldn’t have been moved watching this scene. This was so wonderful to see, particularly because Matis has had so many terrible, hateful things said in his direction for over half a year. Yet here he and a ton of other people were, smiling and singing on about how one day, people won’t fight anymore, and our children will play. I truly believe if someone who has been the victim of that level of vitriol can do it, anyone can. And I’m seeing to it that I will. There’s far too much hate in the world, far too many terrible events that turn pleasant days into sad occasions. In light of all this, I hope I can take a cue from Matisyahu by putting a smile on my face, dancing to my drumbeat, and singing with my voice in order to make my little part of the world that much better. I encourage each and every one of you to do the same. Sooo jealous you got to see Matisyahu!! Dude, all my waxing poetic about love and peace aside, if you ever get the chance to see him, do it! I know people always say “Oh, so and so is better live,” but it’s especially true of Matis. I hope you get the chance!